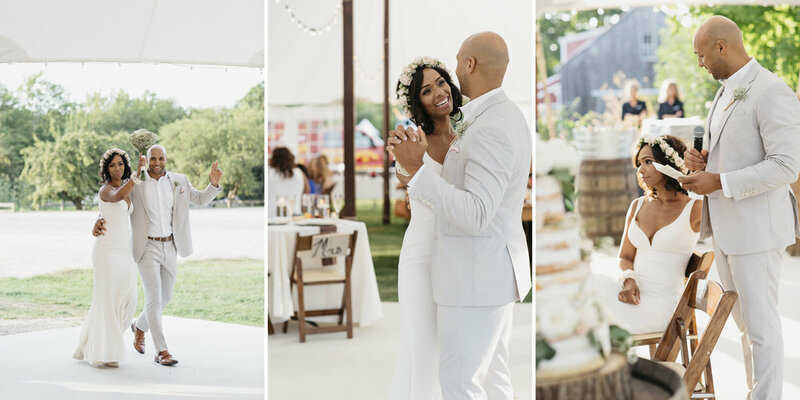 Toni + Earl's wedding at the Rest and Be Thankful Farm in Lyman, Maine was so so beautiful this past weekend! They have such a great story about how they met at a gym in Boston, and she ended up moving from New York to Boston where they live now. Saturday was filled with awesome food, dancing, and fireworks.